Facebook video ads are one of the most cost-effective brand awareness mediums out there today. A video view on Facebook can be bought for as little as a few cents, so it’s easy for brands to reach a new audience and raise awareness via Facebook video ads. Another prime usage for video is retargeting. Video retargeting on Facebook and YouTube is a great way for brands to reconnect with website visitors and fans of the brand. Video is a content medium that is especially well suited for retargeting. The people who are already familiar with you are more likely to watch a video from you. They know your brand, what to expect and you get the chance to re-establish a connection with a visitor that might have waned. So is there a way to combine two of the most effective ways to use video marketing? Raise brand awareness AND retarget people, at the same time? Many marketers who are using Facebook video ads are missing a HUGE opportunity, and that is to use full funnel video marketing. This is made possible by a little-known feature of Facebook Power Editor. In this post, you’ll learn how to do advanced video retargeting, and how to set up a full funnel video marketing strategy, where you guide your viewers all the way from not knowing about you at all to converting to a lead or a customer. Using videos on Facebook or Youtube to retarget website visitors can be a really effective way to re-engage with the people who already are familiar with your brand. With retargeting you can keep your brand in front of people who left your site without converting (bounced) after they leave your website. For most websites, only about 2% of web traffic converts on the first visit, so it is essential to retarget those lost leads. With retargeting you can reach the 98% of users who didn’t convert right away on your site. Both Facebook and YouTube have strong retargeting tools. On YouTube/Google, you can retarget your YouTube viewers with AdWords or your website visitors, and on Facebook you can retarget your website visitors. Here is two short step by step guides on getting started with retargeting on YouTube and Facebook. What this will do is that Facebook will create two new audiences: one based on people who viewed at least 3 seconds of your video ad and one for people who viewed your video ad to 95% of its length. You can then target these audiences in the future with the video that represents your next step of your funnel. Your audiences will appear in the Audiences tab 24 hours after your ad set schedule ends. Video ads must receive a minimum of 1,000 paid video views in a 24-hour period for the audience from that period to be saved and updated. Audiences who saw your video organically will not be collected. With Facebook video views costing around $0.02 – $0.05, the price to create a list of 1000 people who watched your video would be around $20 – $50, which is not too bad. What you need to think about if you want to do a full funnel campaign is that not all of your saved audience will watch your next video, you need to account for some churn. Let’s say that 50% of your targeted audience watch your video as a rule. You start by pushing your awareness video out to 4000 people. From this you will get a target audience of 2000 people, then 1000, and your final video will have 500 viewers. You have to experiment to find out what kind of numbers apply to your campaigns. Think about making your video content as good as possible, write enticing ad copy and choose good video thumbnails. You want to optimize your videos to get as many views as possible so you can go through to the next cycle. It is likely that the percentage of viewers will rise throughout your campaign as people get used to your brand and videos. Creating a full funnel video ad campaign can be a really powerful and effective way to walk your potential customers through your full funnel. 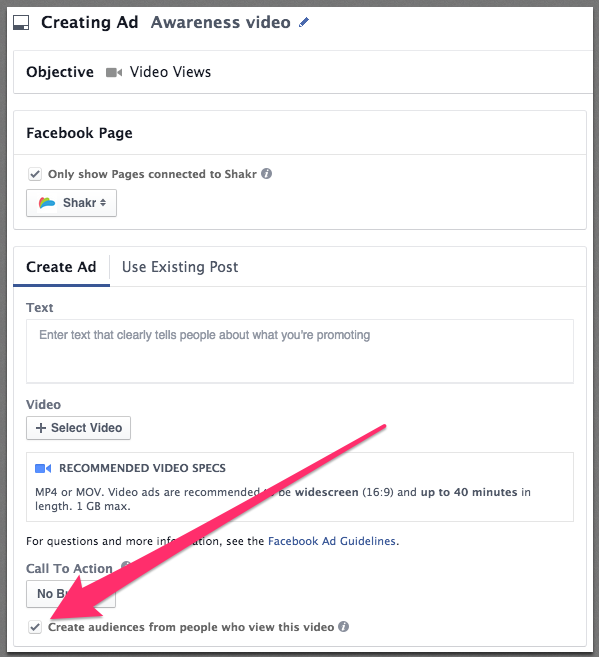 You will combine Facebook’s powerful video ads to increase awareness and the effectiveness of retargeting people who already are familiar with your brand and product. Take some time at the beginning of your planning process to think about what the different aspects that you need to cover are. How does a normal customer journey look for your customer? Try to replicate this journey in your videos and cover the most important points, benefits and solutions you need to demonstrate to your prospective customers. What this looks like depends on your brand and product, but most product or services go through these stages. 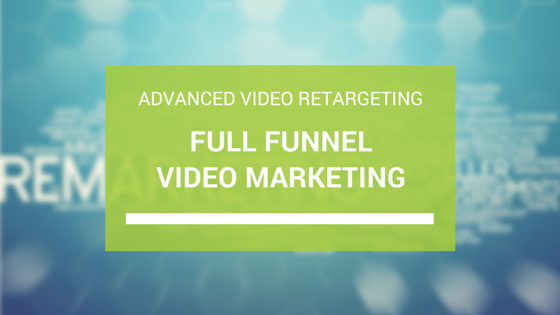 Have you tried running a full funnel advanced video retargeting campaign? Let us know in the comments! This post was originally posted on the Shakr Video Marketing Blog.